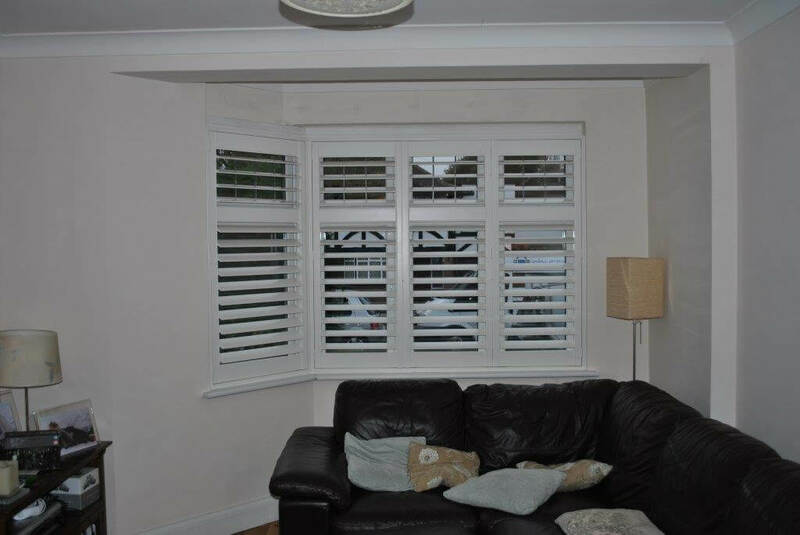 We were asked by a customer in Orpington, Kent to design and install some shutters to the living room bay window. 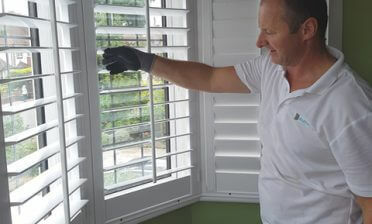 Because bay window walls and lines are not always straight and true, it requires specialist design and production of the shutters to get a made to measure finish that other window dressings just can’t live up to. 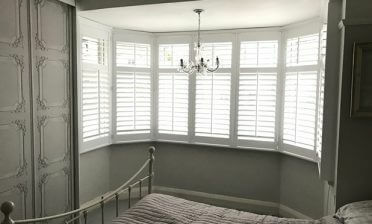 Our shutters can be fitted to work with any window style and all angles of recesses. We used full height shutters with 89mm louvres, complete with concealed tilt rods for a minimalistic finish and operation. 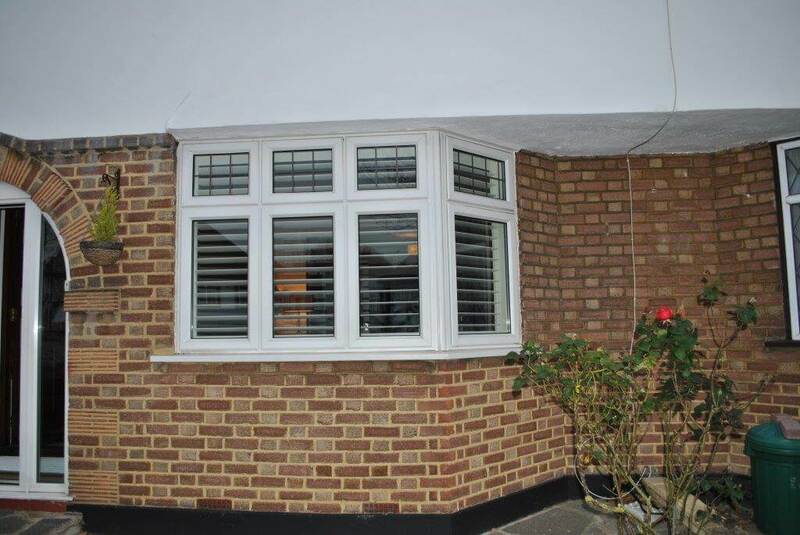 We installed these shutters with a mid-rail which lines up perfectly with the two sections of the double glazing windows. This allows both sections to be operated separately and allows for access when opening and closing the windows behind. 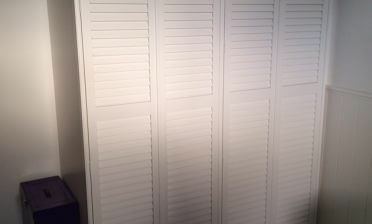 The shutters have been finished in pure white with matching hinges.